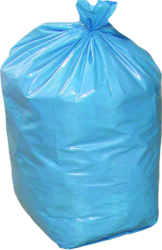 We are offering our customers an excellent quality range of Biodegradable Garbage Bag. They are very appropriate for collecting waste and are made of quality proven material. These leak proof garbage bags come in variety of specifications. These are known for their durability, corrosion resistance and dimensional accuracy. The bags are sealed at one end and normally without any gusset and do not have handle. 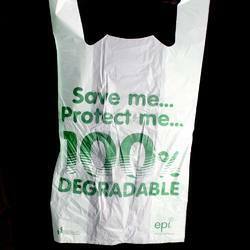 Normally these bags are produced in Black Colour, however we can produce them as per customer colour requirements. Driven with excellence, we are presenting Oxo-Biodegradable Bag to our customers. We offer them at reasonable rates. Considering the environmental threat caused by the traditional plastic bags, which takes many years decompose, we bring forth an exciting range of biodegradable plastic bags for our clients. These bags easily biodegraded into the soil and therefore is becoming very popular as a replacement of traditional plastic bags. We are the manufacturer and supplier of Biodegradable Garbage Bag.